It’s no secret that tax law in the United States is extremely confusing. Even the length of the official tax code is subject to wild speculation; people estimate it to be somewhere between 2,500 pages and four times the length of the complete written works of Shakespeare. As a result of this confusion, many people are intimidated by this substantial piece of American legislation. It’s because of this wariness around taxes and tax law that accounting has become such a lucrative profession, and it’s why the word “audit” strikes fear into the hearts of business owners. But what if we could make tax law less confusing? What if it’s possible to break down the thousands of pages and hundreds of sections into something easier for ordinary people to understand? In order to better understand the intricacies of tax law, we should start by examining the concept of tax fraud. After all, by understanding what constitutes a violation of the law, we can obtain a better understanding of the law itself. And what better place to start than with the President of the United States? Donald Trump has a long and fascinating history as a business mogul before becoming elected President in 2016. In that time, he has made big waves in real estate and entrepreneurship and has been accused of multiple fraudulent activities in the process. Many of these accusations have been catalogued in a massive exposé published by the New York Times. Whether or not these accusations are legitimate is up to the courts to decide. This is in no way an indictment or direct attack on the president; all we are attempting to do with these events is construct an educational case study. By analyzing these scenarios, we should be able to establish a working knowledge of tax fraud and, by extension, tax law itself. So read on to learn about Donald Trump’s tax fraud allegations over the course of 25 years and what they can teach us about the United States tax code! 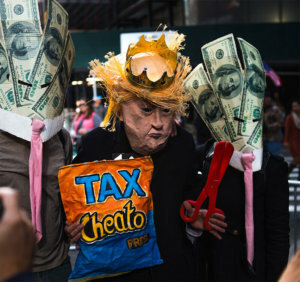 Although the accusations of fraud leveled at Donald Trump cover several different areas of tax law, one thing nearly all of them have in common is that they involve circumventing gift taxes. equivalent value in return would qualify as a taxable gift in the eyes of the IRS. However, this tax doesn’t need to be paid if the value ofthese gifts are lower than the annual or lifetime exclusion. As of 2018, the annual exclusion is $15,000 and the lifetime exclusion is $11.8 million. If you wanted to give someone in your family a used Toyota Corolla that was worth about $5,000, you wouldn’t have to pay gift taxes on it. But if you wanted to gift someone a brand-new Tesla Model 3 with a base price of $35,000, you would have to pay gift taxes since it’s worth more than the annual exclusion rate. At least, you would have to pay taxes on that Tesla if you had already given them $11.8 million over the course of your lifetime. It’s not a perfect analogy, but it works to illustrate our point! In the case of Donald Trump, the amounts of money and property being given far exceed these exclusions. And because of this, all gifts that he received would be taxed to the tune of 55%. So how did he (allegedly) get around this steep tax? In a number of ways: many of them accomplished with the help of his father Fred Trump, according to the New York Times. As the Times tells it, Donald took out several “loans” from his father Fred in order to support some of his struggling business ventures. A document cataloguing some of these loans place the total at nearly $5 million in 1979 alone. These loans were open-ended, meaning that there was no set payment schedule. The implication of this is that there was no real pressure or even expectation to pay back these loans. And this is how Trump’s father gave him a gift of about $5 million dollars without having to give the IRS 55%. So how did Donald Trump get out of paying back the loans he made to his father? Even though these substantial cash injections into his businesses were essentially gifts from a father to his son, there needed to be some attempt at paying them back in order to avoid the 55% tax bill. And because Trump (allegedly) needed this money to simply keep many of his struggling businesses afloat, there was no way he could actually pay them back in full. The solution in this case would be to work out a situation where the loans have been paid off without losing any actual money or equity: which is exactly what the New York Times claimed Trump did in the early 90’s by committing securities fraud. Securities fraud is any kind of fraudulent activity that involves stocks or investments. 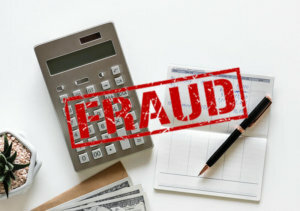 According to Investopedia, this form of tax fraud “can be committed in a variety of forms, but mostly involves misrepresenting information investors use to make decisions.” Some recent high-profile examples of securities fraud include the Enron scandal in 2001 and Bernie Madoff’s long-running Ponzi scheme that was thwarted in 2008. Securities fraud isn’t always tax fraud, but it becomes tax fraud when it is committed in order to circumvent paying taxes. And this is the context of the allegations leveled against Trump. By 1989, Donald Trump owed his father about $11 million and it was coming up on time to collect. If the loan was simply forgiven, it would turn into taxable income; instead, Donald paid it back through a 7.5% stake in one of his Manhattan condominiums. This means that both Donald and his father Fred agreed that 7.5% of his property, obtained through stocks, had a value of $11 million. However, Fred Trump sold this 7.5% stock back to his son just two years later for only $10,000, spread out over multiple transactions. One documented example from 1991 provided by the Times listed a net loss of almost $1 million for just one of these transactions! Nothing drastic happened to New York City real estate prices in order to justify this price difference, so it appears as though the agreed-upon 7.5% was now only worth a fraction of its original value. In this way, Donald Trump and his father were able to turn a debt of $11,000,000 into only $10,000, paid tax-free, all by grossly overvaluing and then undervaluing the stock value of his property. Based on the evidence, it seems that Trump has been receiving quite a bit of help from his father in a way that isn’t supposed to attract a lot of attention from the IRS. However, an incident of loan fraud in 1990 seems to be an exception to father and son’s standard operating procedure, at least according to documented evidence provided by the Washington Post. As the story goes, a man named Howard Snyder acting as Fred Trump’s attorney visited Trump Castle, one of Donald Trump’s casinos in Atlantic City. He then purchased $3.5 million worth of casino chips. Then he leaves without playing a single game. You might be wondering: if Donald Trump is already receiving gifts from his father disguised as loans, why would he then take out loans from his father poorly disguised as legitimate business transactions? Part of the reason for this extra layer of deception seemed to be so that Trump could receive this money faster than if conducted through ordinary loan channels. The reason why this particular loan was so time-sensitive, according to the New York Times, is that he needed it in order to make a bond payment of about $18.4 million. And because of that loan, even in spite of the fact that this obvious act of fraud was caught and punished by the New Jersey Casino Control Commission, Trump was able to make that payment. Another reason for this fraudulent act could easily be explained by the way it reduced the fees he had to pay the government in exchange for such a substantial wealth transfer. As we’ve learned, receiving $3.5 million as a gift would require paying an extremely high percentage in gift taxes. However, a loan also requires high fees due to the need for an interest rate. 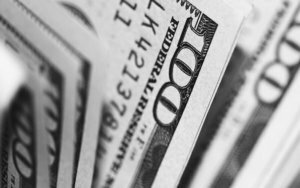 One of the ways that the IRS differentiates a loan from a gift or taxable income is through the addition of an Applicable Federal Rate (AFR). These rates are updated every year since they reflect the average percentage of interest charged on all loans made by banks and other financial institutions in the country. Consequently, a loan is only considered a loan in the eyes of the IRS when it applies interest in line with the AFR. And in December of 1991, the AFR for a short-term monthly loan was 5.49%. Donald Trump picked option C. When the New Jersey Casino Control Commission charged him with fraud, they fined him $65,000, which is slightly less than 2% of the money he received. And that’s how he was able to receive a loan, tax and interest-free, in time to save his casino from foreclosure. Let’s start with estate tax. This is more or less the same thing as gift tax and is closely tied with inheritance tax. All three of these concepts are closely interlinked to the point where many individuals mistake them for each other; they will refer to inheritance tax as estate tax and vice versa. Gift tax is applied when explicitly giving a gift to another person or party. It is paid by the giver, but it can be collected from the receiver if the giver fails to pay. It is a federal tax, which means that gifts given anywhere in the country can be subject to them. Estate tax is applied when determining the value of a deceased person’s property. It is paid by the estate before bequeathment, meaning that the taxes are taken out of this value before it is passed on to the receiver. There is a federal estate tax with its own exclusion rate and a state estate tax that varies depending on the state. Inheritance tax is applied when passing a deceased person’s property onto their beneficiaries as outlined in their will. It is paid by the receiver, meaning that the taxes are charged to the person receiving the money or property. This is a state tax that only applies to Iowa, Kentucky, Maryland, Nebraska, New Jersey, and Pennsylvania. Now that we’ve defined those terms, we can talk about appraisal fraud. This is when an individual or organization either inflates or deflates the value of a property dishonestly. The reasons for doing so can vary; however, the most often reason for committing this form of fraud is to manipulate mortgage rates, which is why it is also sometimes referred to as mortgage fraud. The FBI has stated that this particular form of fraud was a major contributing factor to the 2008 housing crisis. So what does estate tax and appraisal fraud have to do with Donald Trump? It’s important to note at this point that Donald Trump is not an only child. Although it sounds like he received quite a bit of special treatment from his father Fred, the truth is that his siblings also allegedly received substantial gifts and properties as well. And in 1981, one of Donald’s siblings, Fred Trump Jr., passed away due to complications from alcoholism. This meant that all of his assets would be passed on to his surviving family members according to his will, which would be handled by his estate. The individuals who were in charge of his estate, by the way, were Donald and Fred Sr. This is the first instance reported by the New York Times in which Donald Trump participated in appraisal fraud in order to avoid paying estate taxes. Although the Times states that the inherited properties would have been worth over $90 million, a document they obtained shows that the estate (Donald and Fred Sr.) claimed they were only worth slightly over $13 million. As a result of this, Fred Trump Jr.’s estate only had to pay $700,000 in estate taxes. If they had declared these properties on their estate tax return at their full value, they would have had to pay nearly $60 million according to estate tax rates and exclusions in that year. The next instance in which the Times claims that Donald Trump committed appraisal fraud to pay less in estate taxes occurred in 1997 when his father passed away. According to another document provided by the publication, Fred Trump’s estate was said to have a total value of around $41 million. However, they then state that Donald was able to sell his share of the estate for $177.3 million in 2004. Think about those numbers for a minute. How was Donald Trump able to turn a portion of $41 million into $177.3 million in just 7 years? As the Times tells it, he was able to do this by handling his late father’s estate the same was as he did his late brother’s: fraudulently. As the story goes, Fred Trump Jr.’s passing was a tragic surprise that couldn’t have been planned for in any way. However, the passing of Fred Trump Sr. was of natural causes, meaning there was plenty of time to prepare for the handling of his estate. Because of this, the New York Times claims that steps were taken ahead of time to siphon as much wealth from Fred Sr. to his children before his death in order to further minimize the size of his estate taxes. One of the ways that this was accomplished was through a company named All County Building Supply and Maintenance, according to the Times. This company was hired by Fred Trump, owned by his children, and used to give them money through expense reports fraud. But what is expense reports fraud? This is a form of financial fraud that is well-known and fiercely opposed by many forensics accountants and anti-fraud organizations. Also known as expense schemes, this is when a business or one of its employees lies about their expenses. Let’s go over the difference between an honest business expense and a fraudulent one. In the first scenario, an employee takes a client out to dinner in order to discuss business. In this case, the employee can claim the cost of dinner as a legitimate business expense. But if the employee takes someone who isn’t a client out to dinner as a date and then claims it as a business expense, they are committing expense report fraud. Expense reports fraud can take many forms, according to the Association of Certified Fraud Examiners, such as when “an employee overstates the cost of actual expenses and seeks reimbursement.” And this is the type of fraud that the Times claims the Trumps engaged in with the aid of All County Building Supply and Maintenance. An annotated document contained in their article breaks down how a purchase of 60 boilers for Fred Trump’s properties, conducted through All County Building Supply, was marked up by 20%. This extra 20% was pure profit, paid out to the owners of the building supply company. With enough business transactions conducted in this way, substantial amounts of money can be legally fed from Fred to his children without having to pay gift taxes. And that’s how Donald Trump and his siblings were able to drain their father’s accounts before his death while paying the bare minimum taxes possible. Gift tax fraud, where IRS fees on gifts are avoided by disguising them as loans or legitimate business transactions. Securities fraud, where the value of stocks and investments are misrepresented in order to deceive investors or the IRS. 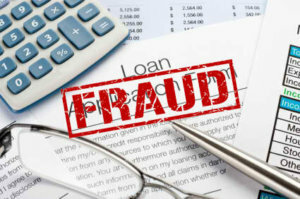 Loans fraud, where a loan is disguised as a different transaction in order to avoid involving a financial institution and setting fair interest rates. Appraisal fraud, where the value of a property is misrepresented in order to manipulate mortgage rates or deceive the IRS. Estate tax fraud, where the value of an individual’s estate is misrepresented in order to avoid paying a high percentage to the IRS. Expense reports fraud, where business expenses are misrepresented in order to deceive a business or the IRS. Not all of these fraudulent activities are specifically tax fraud, but they can all be used for the purpose of committing tax fraud. This is because they involve misrepresenting the value or existence of properties and expenses in order to deceive individuals, businesses, accountants, and tax auditors. So what does this teach us about tax law? Well, by understanding what we aren’t supposed to do, we should be able to figure out what we are supposed to do, at least in the eyes of the IRS. We’re supposed to pay a portion of anything inherited or received as a gift if it’s worth a significant amount. If we’re taking out a loan instead of receiving a gift, we have to go through proper channels in order to ensure that the payment schedules and interest rates are set fairly. And we’re not supposed to lie about the values of our properties, investments, or business expenses. Be truthful, be fair, and remember to share! This arcticle originally appeared on AIS-CPA.